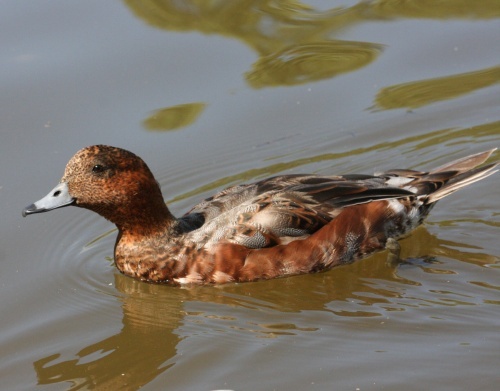 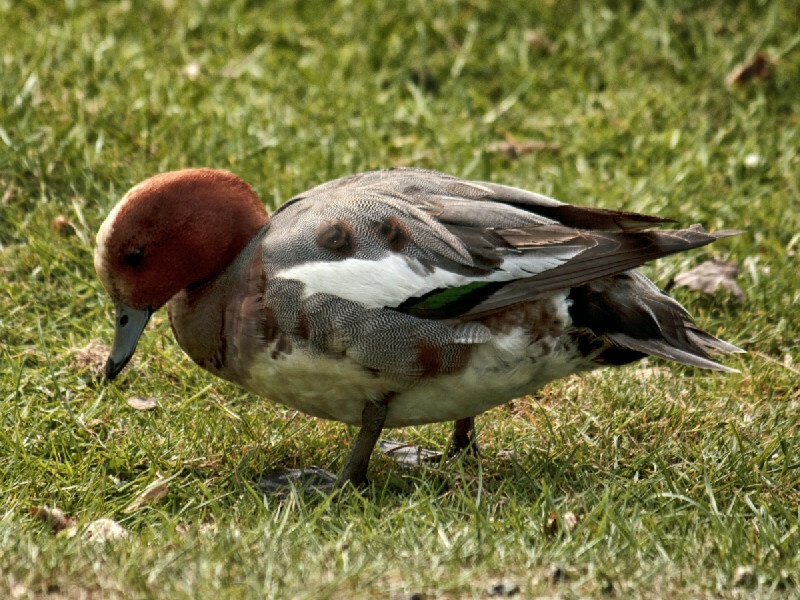 This medium-sized duck has a characteristic rounded head. 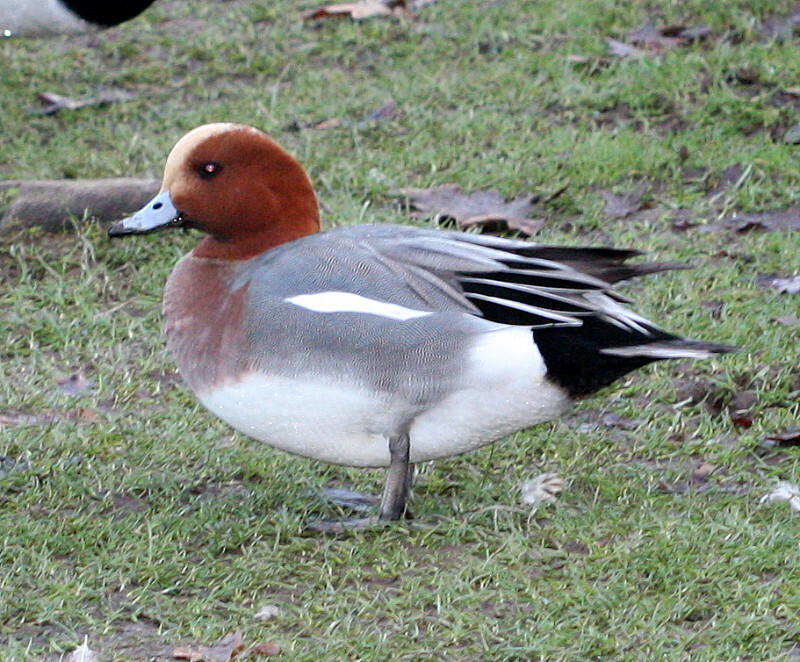 The male has a brown head with a yellow 'punk' crown stripe. The female is a soft ochre. 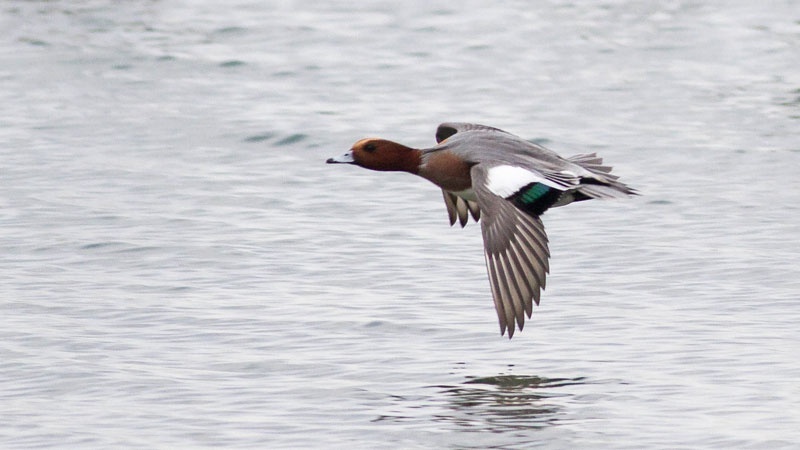 These ducks make a memorable whistling call. 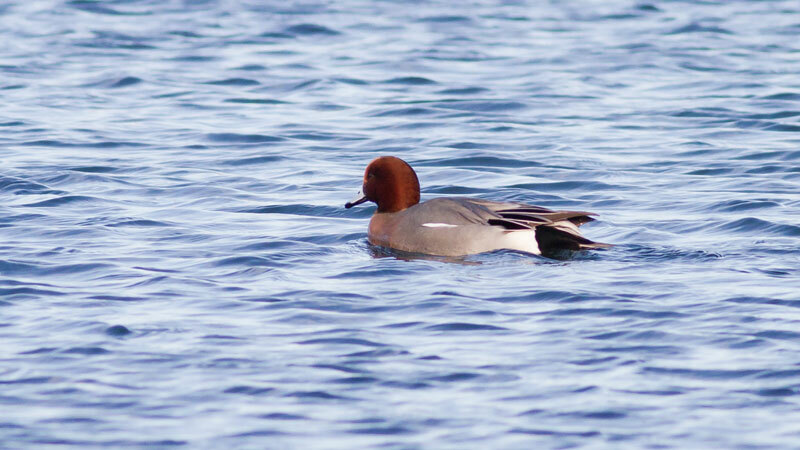 All year but larger numbers in winter. They eat aquatic plants and grass, and can often be seen grazing near to water. 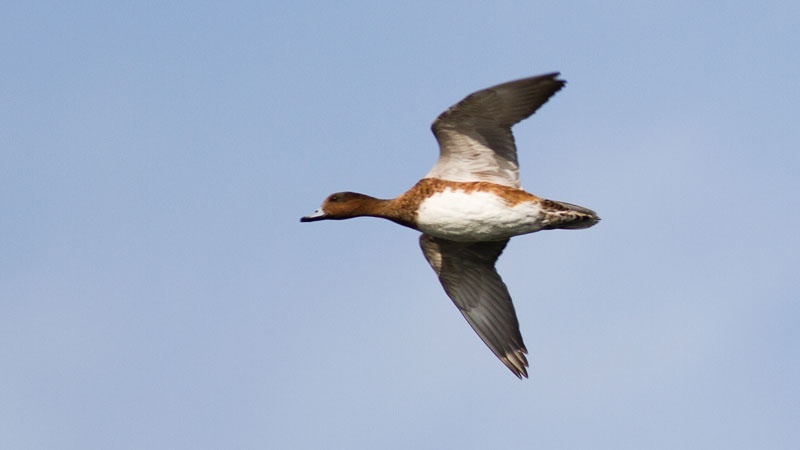 Small numbers breed in Scotland and northern England but numbers are boosted in winter by migrants from Iceland, Scandinavia and Russia. 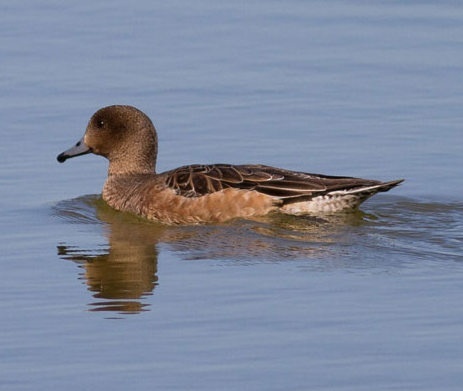 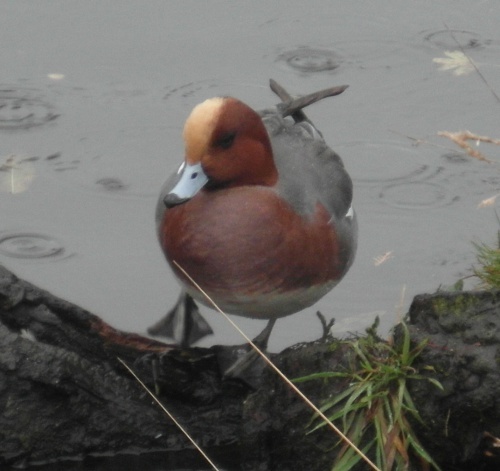 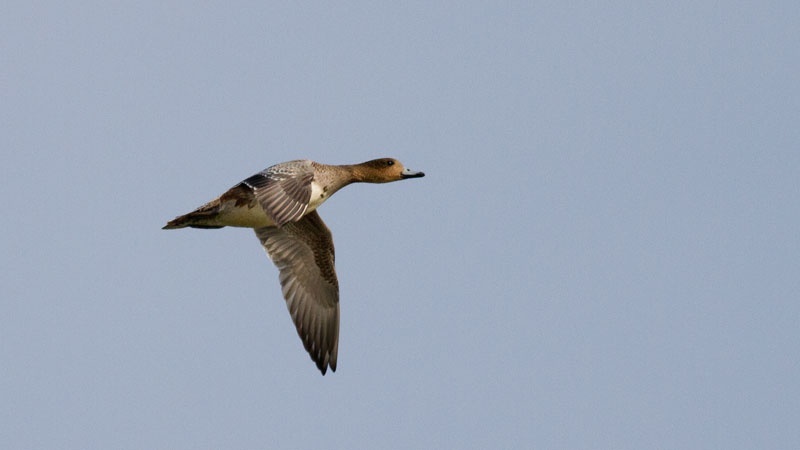 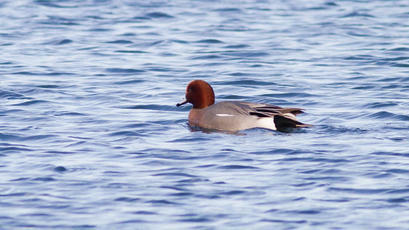 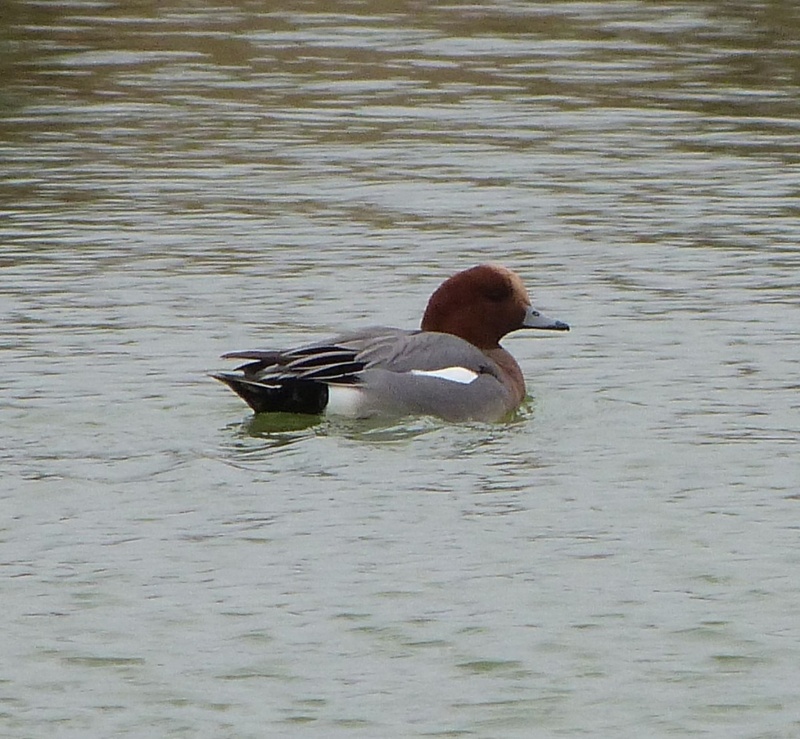 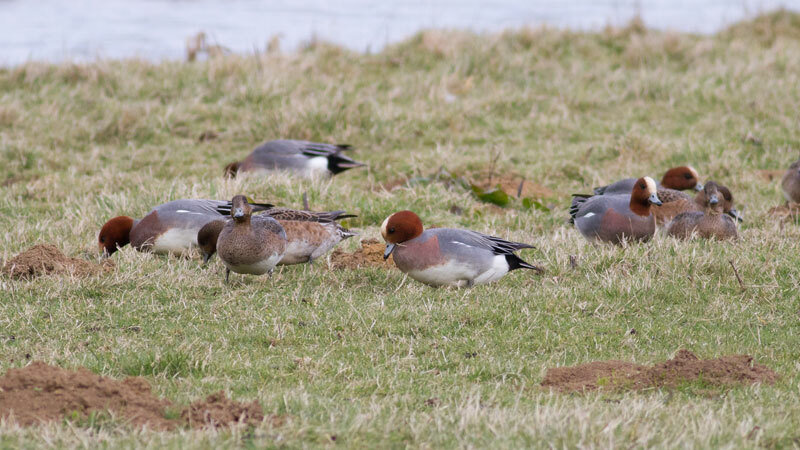 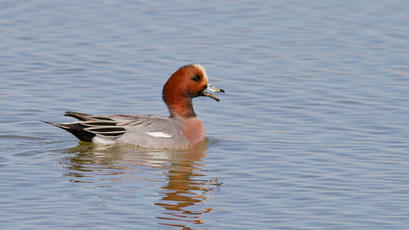 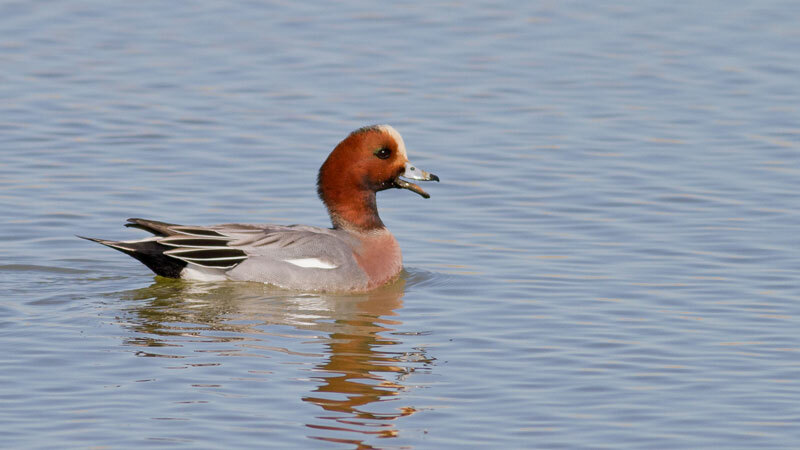 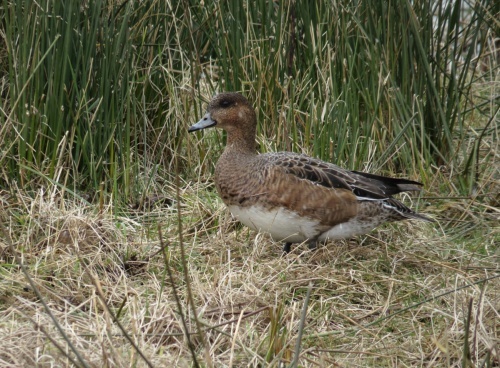 A common winter duck in Leicestershire and Rutland but scarce in the summer.